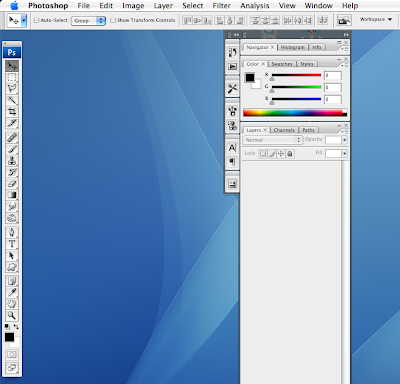 to this by adjusting the contrast and colour levels: If you missed the first tutorial, you can find it here. In the second tutorial.. you learnt how to erase pimples and moles, wrinkles. If you compare this picture to the one above, you can see that this photo, her skin is very very smooth, especially the neck area. 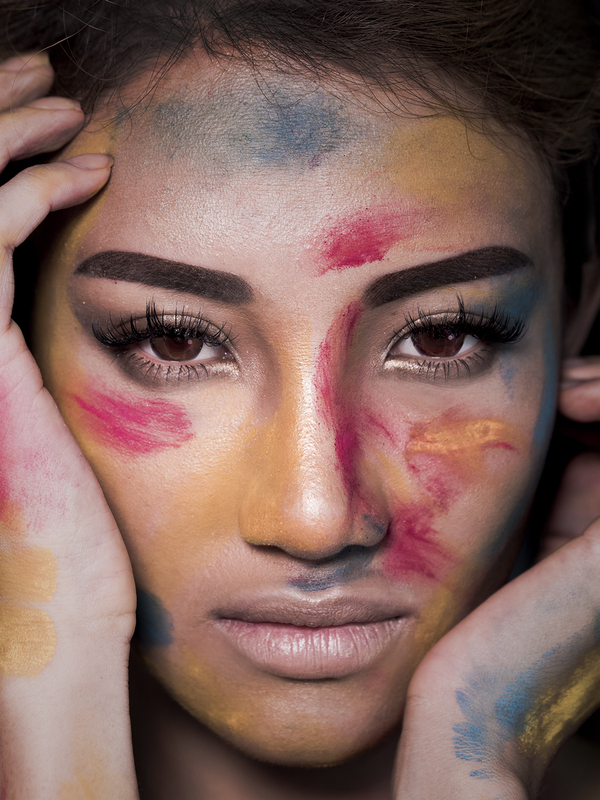 What we are going to do is we are going to blur the whole skin area to get that smooth look. 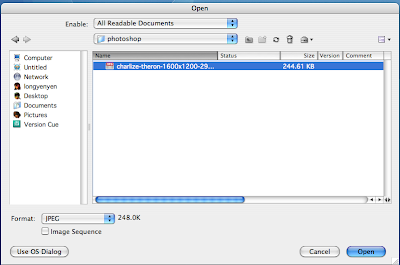 Open up Photoshop.. you’ll see this..
Go to File > Open to open your photo, or the one we are using. Choose the photo from the dialogue, the name will be different depending on what you name it. If you look to your right, you can see a tab of stuff in your right bar..Click on the layers tab, you will either see it drop down or recline up. you want it to drop down, so if it reclines up click on it again. 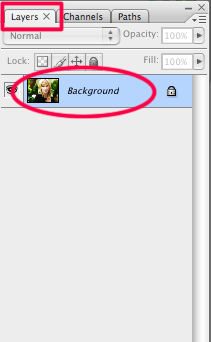 You can see a layer named Background there. Click on it. right click on the Background layer, and this will pop up. This will pop up. 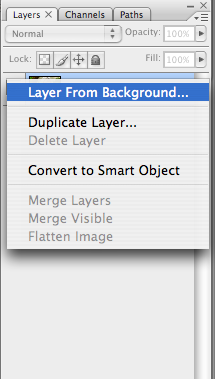 just hit OK.
You will have another layer on top of your Background layer called Background Copy. You don’t want it to be too blur.. just blur enough to cover all the skin flaws.. 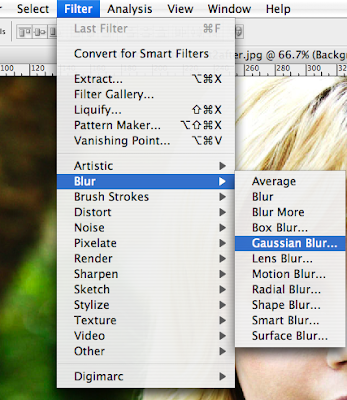 Pull the slider until you are satisfied with how blur it is. Your photo looks like this now. all blurred. Erase the background : all the leaves and her clothes. We just want her skin blurred only. Erase her eyes, nose and mouth.. and the diamond as well. Most importantly, rub away her jawline to get back that sharp line … do that to the ears and nose as well. 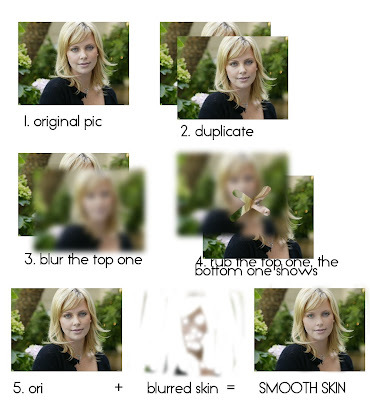 If you do it right, only your skin is blurred, all the other details are preserved. Now, you know that all photos have noise. those dotted coloured pixels. when we blurred our photo, all the noise is lost. We want them back or people will realized that we have blurred the skin. 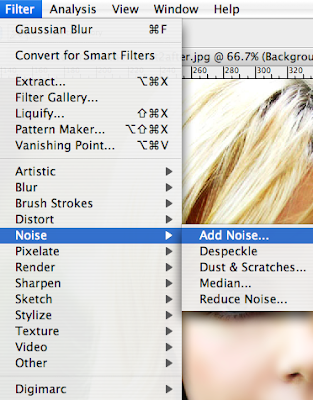 match the noise value to the photo noise level.. Pull the slider and get the best option. This is your result. Smoother skin! 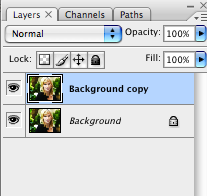 ermm.. can you tell me why do we need to duplicate another copy of the background? hmm i updated the post with the reason why.. look at the end of the article aight?